The Free Library of Philadelphia has released the newest version of our mobile site! The new mobile site (version 3.0) uses responsive web design and provides an optimal viewing experience on all browsers and most mobile devices, regardless of screen size. 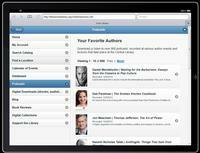 The site was built using jQuery mobile framework and HTML5. New layout design for easier access and downloading speeds. My Account - Sign in to your account from anywhere, all you need is your library card and PIN number. Find a Location - Quickly see what's open Today, This Morning, This Evening, This Saturday, search branch locations by zip code, or view entire list of branch locations in alphabetical order. Calendar of Events - See what’s going on at Parkway Central Library and all branch libraries, or browse by event subject. Databases - Use our subscription databases to find magazine, journal, and reference articles, improve your resume, find a job, study a new language, take practice SAT tests, or research the topic of your choice. Podcasts - Download and listen to more than 900 podcasts, recorded at various author events and lectures that take place at the Parkway Central Library. Digital Downloads - View our resources for you to download ebooks, audiobooks, music, videos and much more! Book Reviews - Reviews from our catalog by our librarians and staff. Digital Collections - Browse through most recent images from our ever-expanding digital collections. 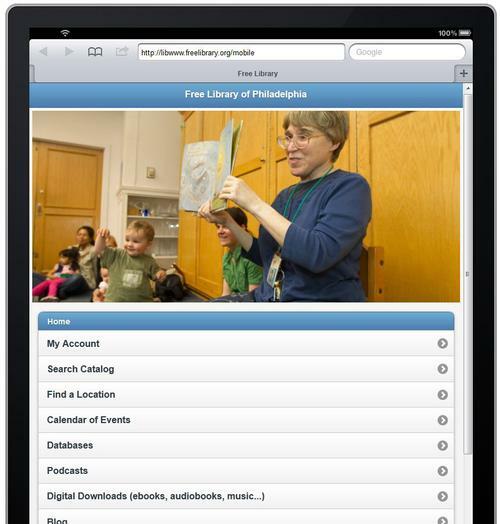 Support The Library - You can show your support for all of the important services the Library provides by becoming a supporter of the Free Library of Philadelphia Foundation. Social Media - View quick links to our social networking sites. 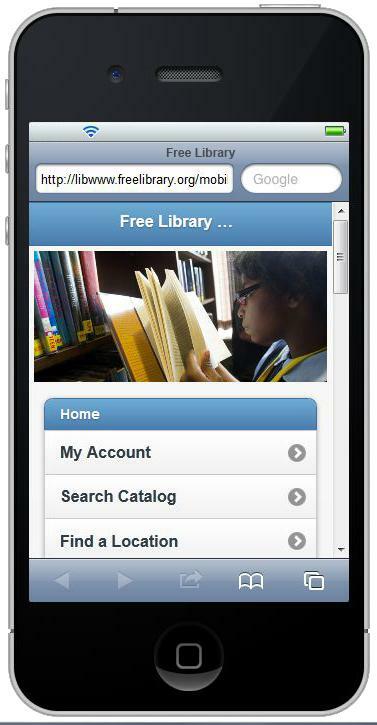 Just like on the full version of our website, you can access your Free Library account, search our extensive catalog, find the nearest branch location, view our calendar of upcoming events, download podcasts and ebooks, read the latest book reviews, and view the latest additions to our ever expanding digital collections. We're always striving to give you the best user experience we can and hope to offer additional features designed especially for mobile devices in the near future!